This site proudly has many Indian Hindu and Sikh readers who have seen what Islam–and its 150 million adherents–are doing to their country. (Many Sikhs valiantly fought Muslims in India.) Many of those readers live here in America and are sad to see that our country has no limits on the number of members of the moongod cult it admits for “visits” and citizenship. This post is not against or even about those readers. Indians in America tend to be educated, skilled, patriotic, and do not impose their culture or religion (unless they are Muslim) on you or me–unlike other alien groups. They are among the hardest working and entrepreneurial, working very hard to make a go of small businesses. Again, this post is not about them. But a story in the San Jose Mercury News about an estimated 400,000 Indian natives who are here in violated of their H-1B visas is important. As I noted earlier today, ICE has not made visa overstay investigations a serious priority, preferring to mug in front of meat factories for the cameras. And that’s why out of the estimated 400,000 who are no longer working as required under their H-1B visas, fewer than 500 are deported. So, since they are not largely criminals, why is this a problem? Well, for one thing, many H-1B visa-holders are here legally to legally take the jobs of the many American citizens who are out-of-work skilled technology workers and computer programmers. That’s been well documented by many of them. And many of those Indians that come here on H-1B visas are not the preferred Hindus. They are Muslims with an agenda (repetitive phrase). The number of undocumented Indians is dwarfed by the estimated 6.6 million illegal residents from Mexico, according to the estimates from homeland security’s Office of Immigration Statistics. Yet, considering the high level of education of many Indians, immigration experts say the federal report hints at a new phenomenon: a high-skilled undocumented workforce to go along with the nation’s sizable numbers of low-skilled illegal workers. If trends continue, within three years India would trail only Mexico, El Salvador and Guatemala as a source of illegal immigration. Another national immigration expert, Jeffrey S. Passel of the Pew Hispanic Center, estimates that the number of illegal Indians is even higher, at 400,000 people. Virtually all entered the United States legally but violated the terms of their visas, say experts who study the nation’s much maligned immigration system. “How do you get in? You come across the border, or you arrive here with a visa,” said Lindsay Lowell, policy director for the Institute for the Study of International Migration at Georgetown University. “Indians aren’t going to be walking across the border like Mexicans.” . . . It is certainly a minority of the local Indian community, however, and probably a very small one. Half the people of Indian ancestry living in Santa Clara County are already U.S. citizens, either by birth or naturalization, according to census data. 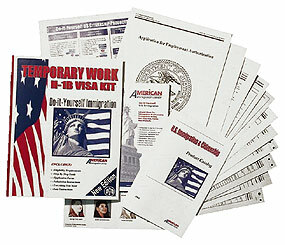 Thousands of others are legal permanent residents, or they are here legally on student, tourist or work visas. Local immigration lawyers say that particularly among Indians, the ups and downs of Silicon Valley’s economy since 2001 are one reason why Indians have fallen out of legal status. . . .
“They come here as professionals, most often in the H-1B program, and given the fluctuations of Silicon Valley, the business climate, these guys lose their jobs. They get laid off or they wager their hands on a start-up coming in,” Jack said. “The problem with the H-1B program is, you can’t have any significant time between jobs” without falling out of legal status. Indians made up 44 percent of H-1B applicants in the 2005-06 fiscal year, five times the number from second-place China, according to federal data. Because an immigrant’s status can be dependent on the status of a spouse, the break-up of a marriage can also create an illegal immigrant. Among Indians in the United States, “there has been a rapid increase in the divorce rate. If they are on an H-1 . . .” said Navneet Chugh, an immigration lawyer whose firm is based in Silicon Valley and Los Angeles. . . .
Silicon Valley companies such as Google say they need to recruit the world’s best talent to compete – and about one in 12 of Google’s U.S. employees, roughly 900 people, are H-1B visa holders. “We have not seen major problems with prospective candidates being out of status,” said Adam Kovacevich, a Google spokesman. . . . If ICE actually pursuit a significant number of Muslim visa violators and criminal illegal aliens, I’d say, look the other way on these Indians. Priorities must be set in immigration policy. The problem is that their really aren’t any serious priorities at ICE (other than manufactured, good PR for Julie Myers), and it is ICE that is largely looking the other way on ALL visa violators. Our country is sliding every further and more speedily down the bottomless slope. Facts like these need to be considered when we hear politicians or ‘conservative’ talk-show hosts or writers say that of course they are for border enforcement to control illegal immigration. They say that border enforcement needs to be established first, and then we can set up a path to citizenship. The issue of VISAs is one way to assess whehter these individuals are serious about enforcing the law or whether they are just being demagogic. If they din’t mention VISAs, it is a giant clue that they are not serious, and are just trying to mislead and fool people. I’m a Hindu, and the same is true about Hindus. Hindus were at the receiving end of Mohammedan excesses from 1000AD to this day, and some 150m Hindus, Buddhists, Sikhs and Jains were killed by Muslims over a period of 850 years. In terms of a percentage, it’s lower than the Jews killed over time, but in terms of absolute numbers, it’s way higher. Unfortunately, too many Indians are as left leaning as too many Jews. The ones who aren’t do know what a threat Islam poses. On the issue of Bay Area illegal Muslim H1Bs, the sub-continental Muslims that you see in the Bay Area are more likely Muslims from Pakistan or Bangladesh. Indian Muslims are generally way backwards in India, and don’t have the educational skills to make it here. Those who are well off in India to make it abroad generally tend to gravitate towards the Middle East. Ethnically, there isn’t much of a difference between Indians vs Pakis/Bangladeshis, which is why that’s an easy mistake to make. P.S. By Middle East above, I meant the GCC countries – KSA, UAE, Bahrein, Kuwait, Oman and Qatar. I am not an ICE apologist, there are plenty of things I’d do differently, but I think you are off here and on the previous post. ICE has indeed increased enforcement of visa status and overstay violators, particularly from special interest countries, over the past 5-6 years. I know this because I worked more of these overstay type cases from 2002-2003 when the program started than I did in the previous 5 years. It was and is the same around at ICE offices around the country. I don’t know what the cumulative totals were or are, but I’m sure the number of nonimmigrant overstay arrests are cumulatively much higher if you were to compare 2002-2007 with 1997-2002. I might be rare among agents of ICE and in the former INS, but I think and believe that we have to do worksite enforcement. Unless there is some kind of potential (even if very small) of being arrested AFTER illegally entering the U.S. to work, there is zero incentive to stop you from crossing the border. It is the huge number of aliens coming to work here illegally that put such a strain on our hospitals, schools, jails, roads, communities and social fabric. This is a threat to our way and quality of life. The Border Patrol can’t seal the border with 10, 20, 30 or even 40 thousand agents. Most of their arrests of Mexicans end with voluntary removals (not deportation) to Mexico. So the illegals keep coming to the U.S. until they make it to the interior, where they know that without any worksite enforcement, they will never be encountered or bothered unless they break other criminal laws and are convicted. Some have posted here before their belief that the numbers exist to arrest and deport all illegal aliens. That reality doesn’t exist, so priorities have to be laid out. It may take two agents several days to locate, arrest and process a nonimmigrant overstay. The priority for individual investigations like these obviously falls along the lines of national security and public safety threats. Contrast that to a worksite investigation that might result in the arrests of hundreds of aliens and criminal prosecutions of corrupt human resources managers, document vendors, alien smugglers and fines against a company. Cases like these help to dissuade people from facilitating and engaging in unlawful employment. The bottom line is that ICE only has so many agents, and you try to make impact where and how you can. This is not an agency where people are sitting on their hands. And Iíve seen what years of inattention to the worksite program created: an explosion of illegal immigration in the late 90’s. All that being said, 500 deportations out of 100,000 overstays is pretty bad. Especially when the data shows a concentration that definitely affects a particular industry. Does that mean we should shift from doing criminal investigations of smuggling and fraud rings and employers to do individual overstay locates and arrests? What we really need are a couple thousand more deportation officers to do these single-scheme administrative investigations and locates. Two thousand officers could arrest around 120,000 aliens a year, and that would put the real dent in this issue. Pulling agents off of criminal investigations of organization will only leave those organizations the opportunity to import and facilitate the stay of more illegals. Then we’re back to square one again. I do strongly agree though with the first poster that politicians, when addressing the “border”, conveniently forget that as much as 40% of the illegal population in the U.S. comes from those that overstay their visas. Again, why targeting employers and fraud organizations is as important as staffing the border with more manpower. We just signed a big tourism allowance deal with China, which means that millions of Chinese will be able to travel here easily. How many do you think will overstay, 50 percent? The next big wave, Chinese, Communists. Heckuva job, Julie! Methods of combatting illegal aliens are not mutually exclusive; all of them should be done. I’ll bet that if the laws were seriously enforced we would find that our resources went a lot further than is presently the case. The “raids” in the last few years were virtually all political, and timed to promote the chances of amnesty bills in Congress. They were not serious or sustained, and whatever positive things have been done by ICE are a result of public pressure. The post is accurate as usual, Debbie. In Chicago, New Jersey there are many illegal Indians — those on valid H1-Bs, but who work illegally as cab drivers and in the motels. The H1-B rules state that you can have only ONE EMPLOYER and cannot work for cash or on 1099. Many do that, especially those whose names contain Ahmed, Khan, Mohammad. Of course there are thousands of other “officially illegal” illegals who not only exist here but create havoc! Anyone remember Rajnikanth Parikh? Well, on my part, I have called up/emailed the DoL and tipped them off about these illegals. At least one has been deported to Bombay — not sure if they acted on my tip or did a random check. The DoL has been very lax on the others, for reasons best known to them (and us!). When Debbie seems to have a hatred for the British, and seems OK with Hindus, the principles are kinda off and misplaced. Most hindus I know, while having hatred for muslims, seems to hate the Brits even more. Remember, without the Brits, India is nothing, and would most likely be a muslim-majority country. And most hindus in India seem eager to blame their countries problem on the British, and not on the muslims. Why does Debbie have such an issue with the British, and love the Hindus? ?